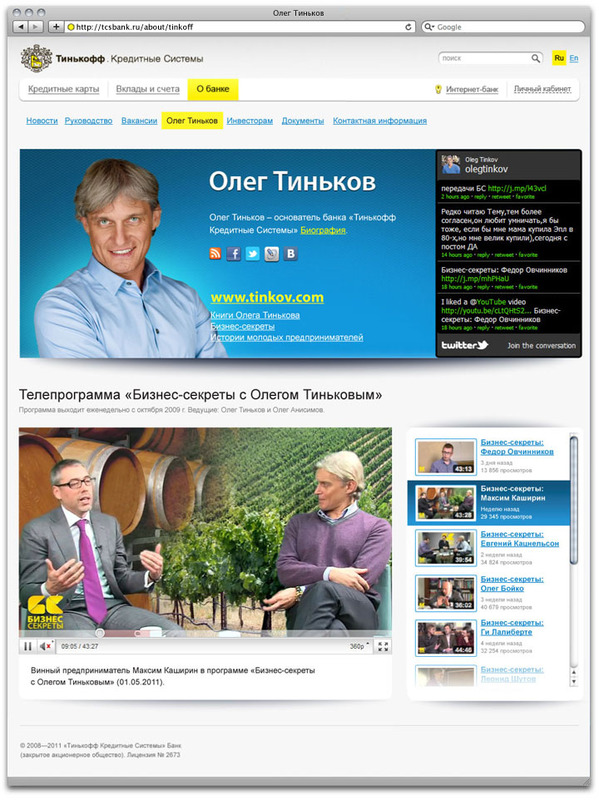 Oleg Tinkoff picture got replaced by an interactive block on the bank’s many advantages. Online banking is easy and has many options for different services you might need. Calculator helps you figure out the output from different deposit plans and compare apples to apples. Special section on the bank’s founder.